Scott’s-Bell 47 (Booth 5309) has contracted IAC Ltd. (Booth 5727) to manufacture new composite main rotor blades for the Model 47. 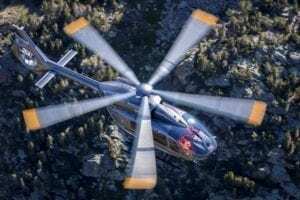 The proposed main rotor blades will use a specially selected airfoil for enhanced performance and will be produced using up-to-date composite materials design and manufacturing technologies. According to Scott’s-Bell 47, the new rotor blades will allow for increased hover performance while decreasing fuel burn. Damage tolerance and fatigue testing will be performed in hopes of extending the blade’s service life past the current Bell Helicopter-designed 5,000 hours. Development of the new composite blade came about in response to operator demand, says Scott Churchill, president and owner of Scott’s-Bell 47. “[It] was clear that this is the right choice rather than continuing to manufacture the existing metal blades,” said Churchill. 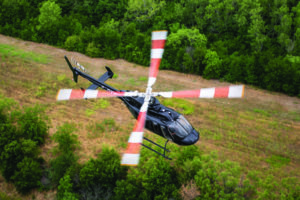 The new blades will be available for operators in late 2013, notes Neil Marshall, general manager of Scott’s-Bell 47.